Indie developer of room-scale VR "dreams" (mini-games, experiences, etc.) for the HTC Vive and Oculus Rift. My focus is on creating intuitive controls that feel natural and increase the immersion rather than desktop interaction paradigms such as menus. Click on the links below to get more information or go to the relevant storefront. If you enjoyed the experience, please leave a review and tell your friends about it! Intruders Go Boom!!! --- Coming Soon! My third full experience built with Unity for the HTC Vive, Oculus Rift, and Windows Mixed Reality devices and first party game for VR Arcade and home use. "Intruders Go Boom!!!" is an action-based arcade game to play with a group. Inspired by the 1981 Atari 2600 classic "Kaboom! ", players take turns trying to catch bombs being dropped on them from above at an ever increasing pace. Test your speed and reflexes, challenging your friends to see which of you can last the longest before the bombs raining down are too much to handle! Get the highest time and proudly display it along with your initials - just like in the old school arcades. 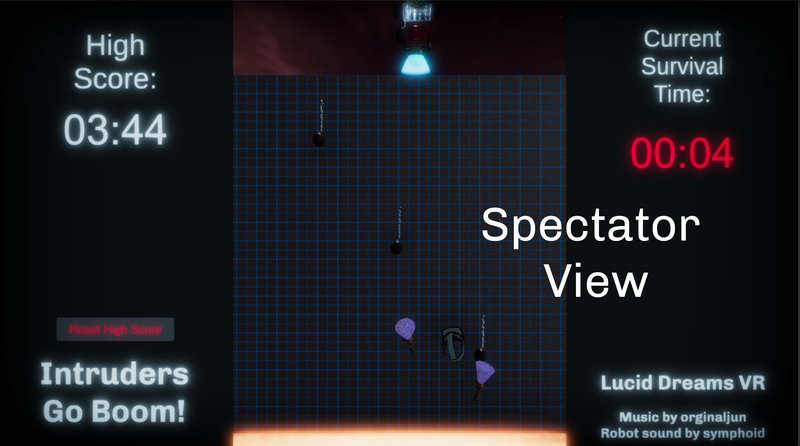 The game also includes a 3rd person spectator view for the rest of your friends to watch as you show off your bomb-catching skills. My second full experience built with Unity for the HTC Vive and Oculus Rift and released as a free download on WEARVR. "According to local legend, sleeping within this circle of stones under the stars on a moonless night, the Will-o-the-Wisp will bring you magical dreams of ancient celebrations performed here to honor the Viking Queen Glöð." 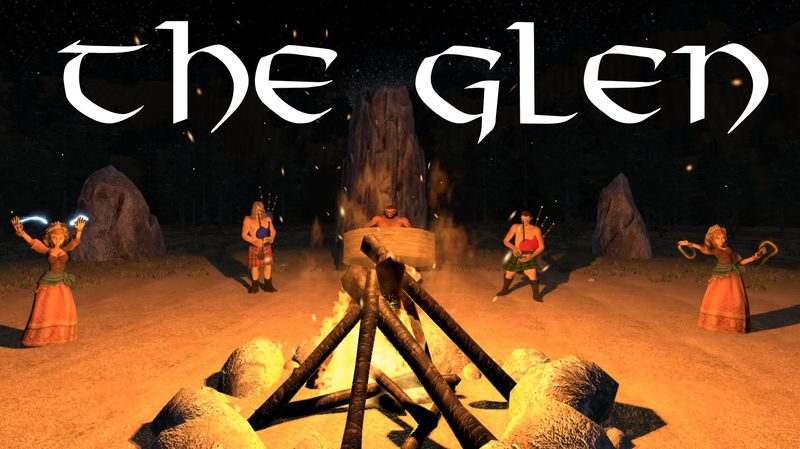 The Glen is a VR music experience "dance-along" featuring two primal drum & bagpipe songs by Cu Dubh, The Elation of Glöd and Delirium of the Glen. 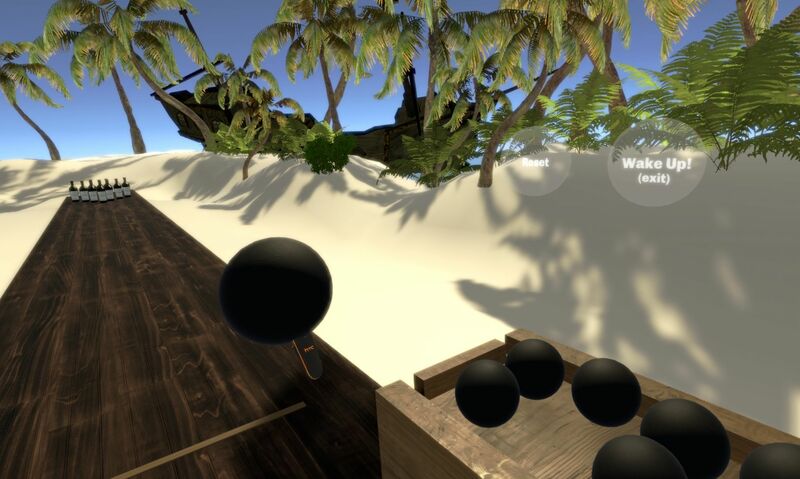 "A lucid dream about getting ship-wrecked on a deserted island and finding that the materials from your ship have been turned into a beach bowling alley by a friendly ghost of a pirate! A fun room-scale experience/mini-game for the HTC Vive. Can you unlock the pirate's treasure chest? The lock on it looks fairly brittle..."